But he doesn’t care. He’s planning to buy $25,000 worth of a specific brand of chocolate milk next year and make the drink available to all his student athletes — in the hopes that it’ll speed their recovery from concussions. The milk is called Fifth Quarter Fresh. And a kinesiologist at the University of Maryland has done preliminary, unpublished research that found high school football players who drank the milk after every practice or game did better on some cognitive and motor tests after a concussion than those who didn’t chug it. “Now that we understand the findings of this study, we are determined to provide Fifth Quarter Fresh to all of our athletes,” Wilcox said in a university press release touting the study. His move to stock up on chocolate milk for Washington County public schools comes at a time of rising concern about concussions — and an explosion of products marketed as preventing or speeding recovery from head trauma. There are helmet covers, neck collars, mouth guards, and a bevy of dietary supplements. Few, if any, of the products have been scientifically validated. Federal regulators have issued warnings about some of them. Congress has held hearings on the dangers of products that make unproven claims. Yet anxious parents and coaches buy them all the same. Fifth Quarter Fresh, a fat-free milk produced by a dairy cooperative in Hagerstown, Md., isn’t actually marketed as a concussion protection drink. And in an interview, a company executive said plainly that there’s no magic ingredient. But the brand’s website includes a section called “Protect the Brain” — complete with a dramatic photo of clashing football players — which touts the University of Maryland study as preliminary evidence that the milk can help improve cognitive function (though the site doesn’t mention the word concussion). 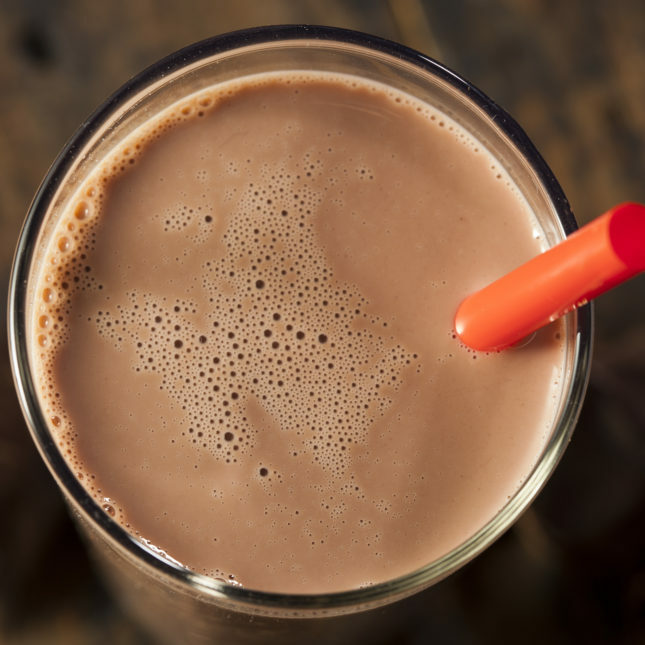 The site also describes a second preliminary, unpublished study from the university that found the chocolate milk helped athletes recover faster after a tough workout. The buzz appears to be sparking interest in the product: Keshia Williams, an athletic trainer at North Hagerstown High School in Maryland, said she’s received about a dozen calls from parents who have heard of the potential benefits of Fifth Quarter Fresh and want to know if their children should drink it. Her response? Do what you want — but “there’s no true evidence” that the milk will help. STAT attempted to obtain a copy of the concussion study, but researcher Jae Kun Shim did not return repeated calls. The university press office did not respond to specific questions. So details remain sparse: The press release said Shim studied 474 student athletes over the course of the 2014 football season, but didn’t say how many of them suffered concussions or how many drank the milk. Concussion experts are similarly unimpressed. Rosemarie Scolaro Moser, a neuropsychologist who treats concussion at the Sports Concussion Center of New Jersey, said she wouldn’t believe the beverage was helpful until she saw study results that had been thoroughly vetted. Wilcox, the superintendent, said even though the science may not be definitive, he counts on the simple fact that milk is generally good for you. Fifth Quarter Fresh says one of its secrets is that the milk comes from “super” cows and naturally contains more protein, calcium, and electrolytes than typical store-bought milk. It also contains a lot of sugar — 42 grams per serving. That’s considerably more than many brands of chocolate milk. And it’s almost the entire daily allowance of sugar recommended for adults eating a 2,000 calorie diet in new federal dietary guidelines released this week. Usha Lee McFarling contributed to this report.